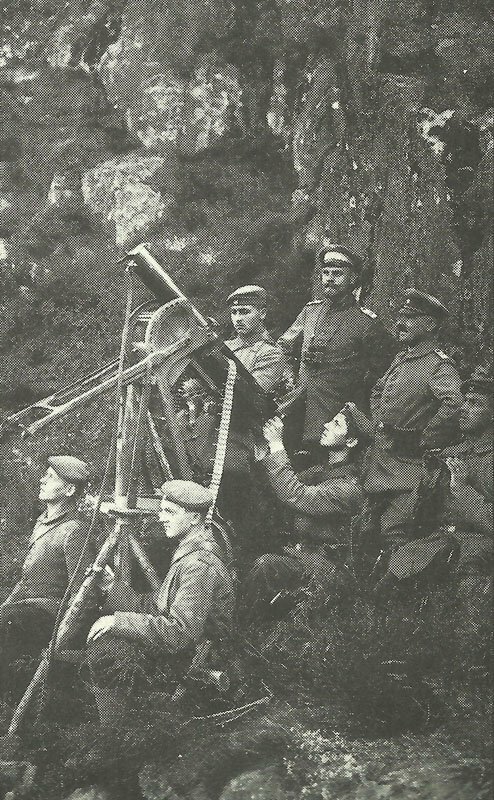 An improvised high angle mounting for a German machine gun in use as anti-aircraft defence. Western Front: RFC helps engage 184 targets and bombs exten­sively. Germans bomb Querrieu, Gorbie and Amiens (night October 20-21). Battle of the Somme: British advance taking 5,000 yards of trenches (with 1,018 PoWs) between Schwaben Redoubt and Le Sars plus 39th Division captures Stuff Trench. Transylvania: Falkenhayn drives Rumanian Second Army 12 miles across frontier at Törzburg Pass, Austrians 7 miles inside across Bodza Pass.